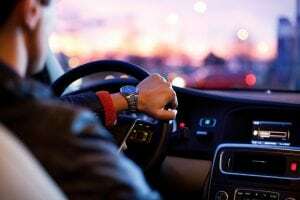 Huntington Station, NY (October 6, 2018) – A 60-year-old man received serious injuries in a motor vehicle crash in Huntington Station on Friday night, October 5 around 7:15 p.m. The man was driving south on Depot Road at the time in his PT Cruiser when he suddenly struck a 2017 Jeep Wrangler that was heading north. Suffolk Police and paramedics responded to the accident and the man was quickly transported to the Huntington Hospital with serious head injuries. The driver of the Jeep, identified as a 54-year-old man, was taken to the same hospital with only minor injuries. Both vehicles have since been impounded for safety checks. We wish to first offer our sincerest thoughts and prayers to anyone who might have been injured in this serious motor vehicle accident and hope that you are able to recover during this difficult time. You have rights when it comes to your accident case. If you have been injured in a car accident due to the negligence of another party, you have rights to compensation to cover specific aspects like medical bills, lost wages, emotional suffering, and more. We know that car accidents can have a huge impact on your life in a physical and financial way, and you have rights and protections when you move forward. At Hach & Rose, we have a variety of empathetic New York accident lawyers who are here to help those who have been affected by serious accidents. We are waiting to hear from you about your case at 212-779-0057 to find out how we can help you.